Published: July 12, 2014 at 11:20 a.m. Updated: July 12, 2014 at 03:16 p.m.
San Francisco 49ers guard Alex Boone skipped last month's three-day minicamp in hopes that his absence would help trigger a new contract from the team. With no deal in place, Boone's no-show status is set to bleed into training camp, too. 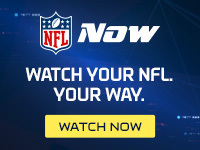 NFL Media Insider Ian Rapoport reported Saturday that the veteran lineman won't report until he has a new deal, according to a source informed of the player's plans. CSN Bay Area's Matt Maiocco first reported the news. Boone has two years left on his current contract, which is scheduled to pay him $2 million with a roster bonus of $200,000 in 2014 and another $1.2 million in 2015. He's not the team's only priority. Tight end Vernon Davis is seeking more money, while the 49ers must also ponder an extension for wide receiver Michael Crabtree. Boone has been a picture of consistency, starting 38 straight games over the past two seasons. San Francisco has shown no interest in tearing up existing contracts to meet the demands of its players, but Boone isn't backing down. It's one "camp battle" that we'll monitor closely when the 49ers get down to business later this month.